In an interview with Bloom, writer Caitlin Hamilton Summie describes her short stories as the variety that “aren’t filled with plot, but they are filled with transformation, which I consider a kind of action. A change of heart, a revisiting of old wounds, a tentative reach for reconciliation—these are, to me anyway, huge actions or developments in people’s lives… I’m not certain how one gets to these places as a writer specifically, except to say that these are the moments in characters’ lives that interest me. Perhaps these moments are where I live as a person.” In this essay I analyze the “action of transformation” in Summie’s debut collection, To Lay To Rest Our Ghosts. In the Writers’ Notes, I discuss three elements that make this collection an impressive one. We meet a variety of characters in these 10 stories who begin as strangers but soon become intimately close to us. Although their circumstances may be different, we recognize these characters’ emotions and feelings as ones we all grapple with—grief, hope, loss, need for independence, need for connection, need for solitude—and they are the driving force behind each story. All of these characters are at a turning point in their lives. They are flawed, estranged, confused, bereaved, determined, and ultimately very human, while each one searches for “a glimmer of hope, a moment of clarity, a way through the grief.” They are us. A young man estranged from his family in this story returns home to Minnesota when his sister crashes her VW bus into a tree. Should he go to the funeral he doesn’t want to attend just to placate his family or celebrate her life with a solitary Obon ritual he learned travelling in Japan? In this story a young woman who wanted to escape Minnesota after graduation “to go far away to a place where there was more than women, an abundance of lakes and long O’s dragged out in nasal” (p. 39) ends up in New York City. But observing a young, street-wise girl over her six-month stay makes her think twice about how to balance her life and where she belongs. Two sisters attempt reconciliation during a weekend getaway in this story after one is the only family member noticeably absent when their grandfather passes away. As they talk, the sisters realize that their separate needs are driving them apart and they can no longer count on one another. Although they may share the same DNA, “our roots fill different pots,” writes the narrator, “and we reach for different light.” (p.138) Is reconciliation possible? These are the things my son will now know: the first dark morning of winter when stars freckle the sky as we had out to do chores; the chorus of cows lowing as they come back into the barn from pasture; the taste of milk fresh from the cow. How will he reconcile his relationship with his father who has not spoken to him since he left the farm? How will he ensure that his son understand his father and the world in which he was raised? This debut collection is impressive because of the author’s skill in depicting feelings and emotions that are universal, her strong sense of place, and her use of lyrical language. Feelings and Emotions: A paralyzed young man struggles to be independent, despite the challenges of living in a cabin during the winter. A young girl begins to realize that she will never know her father, already “vague and shadowy” in her memory when his plane is shot down over the North Sea during World War II. An aging man, “weathered by age and illness and sea winds,” accepts that his mind and soul are still intact but his body is betraying him. (p. 170). As we read these stories, we enter the minds and hearts of all of these characters and emphathize with their situations. We wonder what decisions they will make and what transformations may occur. The author’s frequent use of first person narration also helps us slip easily into these characters’ worlds. Sense of Place: Most of these stories take place in the upper Midwest where the landscape weighs heavily on its inhabitants. “We all grew up shivering,” observes the narrator of “Growing Up Cold.” Winters here can be both beautiful and brutal, and Summie captures both. “A consistent blanket of snow permeates almost every page,” writes reviewer Susan Carter. “Snow acts as a comfort, a threat, an obstacle…” Wheelchairs get stuck in ditches, cars skid off of icy roads, children get lost in whiteouts, stars “freckle the sky” as farmers head out in the early morning to do chores. 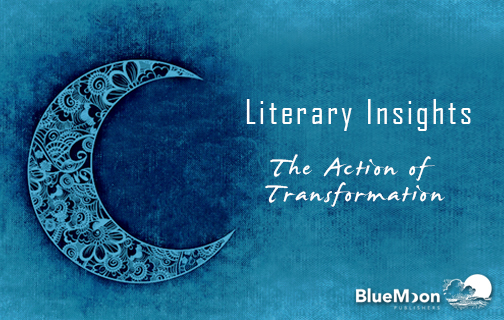 Have you read any stories that emphasize the “action of transformation”?